Remembering Lucille A. Merseal Guenther | Remembering Lucille A. Merseal Guenther | De Soto Obituary Search | Dietrich-Mothershead Funeral Home, Inc. Remembering Lucille A. Merseal Guenther | De Soto Obituary Search | Dietrich-Mothershead Funeral Home, Inc.
Lucille Agnes Merseal Guenther was born December 13, 1924 in Bliss, MO. She was the daughter of Henry and Rosie (nee Coleman) Boyer. She passed on January 18, 2018 at Mercy Hospital Jefferson in Festus, MO at the age of 93 years. 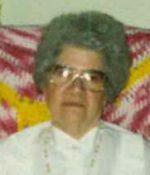 She is survived by her sons, Kenneth (Julia) Merseal, De Soto, MO; and Everett Benny (Marsha) Merseal, Old Mines, MO; nine grandchildren; and 15 great-grandchildren; siblings, Cynthia O’Neal, De Soto, MO: Margaret Yarbrough, De Soto, MO; Rita (Eddie) Seyfarth, De Soto, MO: Johnny (Grace) Boyer, De Soto, MO; Everett (Diane) Boyer, De Soto, MO; and Virginia Schutte, De Soto, MO. Lucille was preceded in death by her parents; step-father, Kenneth Silvey; her husband Everett J. Merseal and her husband, Lilburn Guenther; one son Freddie Merseal; one great-grandchild; four sisters: Louise Mendenhall; Elizabeth Bourbon; Theresa Sampson; and Cecelia Coleman; one brother: Joe Boyer; brothers-in-law, Art Yarbrough, Joseph Schutte, Anthony “Bob” Schutte, Robert Bourbon, John Sampson, Joe Coleman, and Jim O’Neal. 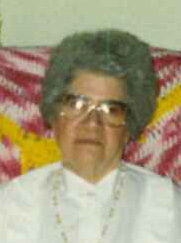 Lucille was a member of St. Rose of Lima Church, De Soto, MO.